To utilise performance as a mechanism for creating new and dynamic discourses around both society and the art form. The Company draws upon real experiences of oppression and privilege, in order to make public interdisciplinary works that are at once urgent and considered. 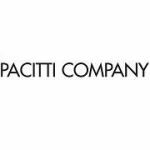 Pacitti Company recognises the intelligence and complexities of audiences and as such strives to produce works that are respectful of this. The Company builds upon an internal history of clear aesthetic ambitions and considers it appropriate to engage aspects of Fine Arts, Music, Film, Storytelling, New Technologies, Science, Medicine, Politics, Psychology, History and Philosophy as vital components of its work.